On November 1, a day after Nanda Kishor Pun, former chief of the Maoist’s People Liberation Army, was elected vice-president of the country, Thomas Borberg, photo editor-in-chief of the legendary Danish newspaper Politiken, went down to the local stationary store in Patan for a newspaper. As he was leading a workshop on Visual Thinking in the Editorial Process as part of Photo Kathmandu, he bought every daily newspaper he could find and brought them to his workshop, where he displayed them for all to see. Every daily newspaper had almost the same exact photo on the front page – Nanda Kishor Pun, decked out in a flood of garlands, anointed with vermillion, waving to the camera. Borberg’s visual thinking workshop, which ran from November 1 to November 4, was his attempt to impart all he has gleaned from his years of working with photography and the media. The workshop saw participation from journalists, photojournalists, editors and writers. In person, Borberg is a tall, severe man, very passionate about what he does. He has been working at Politiken – a daily newspaper that has won numerous awards for its bold design and its unique accordance of space to photography – for more than 20 years, where he works in close coordination with photographers. “There have been times where five Politiken editors have argued over one photograph for close to three hours,” he says. 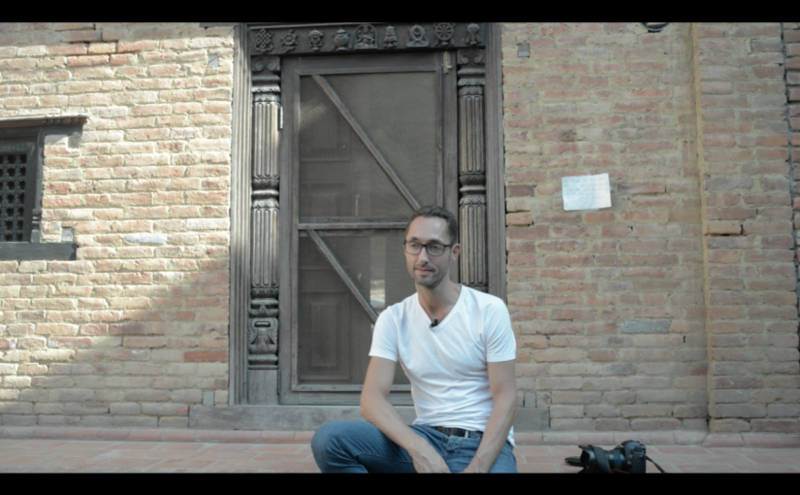 He doesn’t subscribe to the excuse that Nepali photojournalists and editors often use – that they don’t have time. If you want a good photograph, you have to prioritize what you want to take pictures of, he says. Photojournalists have to be adamant about their images and editors too need to understand what makes a good picture. It’s a two-way street, with feedback from both ends. Politiken is a daily newspaper and it manages to create pages that are striking in their visual aesthetic, he offers as an illustration. Previous Previous post: Presenting: Photo Kathmandu merchandise!